Release Date:12/07/2018;Notes:Limited double vinyl LP pressing. 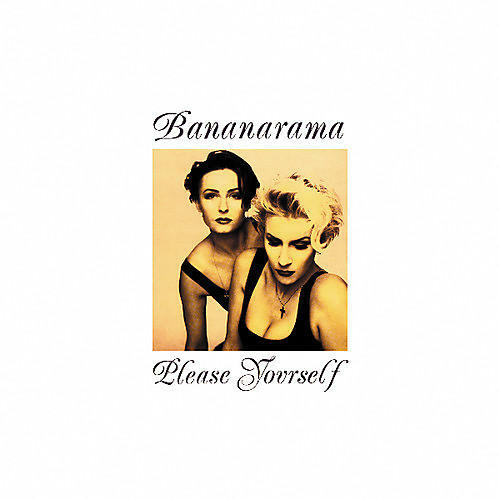 Please Yourself is the sixth studio album by British girl group Bananarama. It was released in 1993 by London Records, the last release the group had on this label. It is also the first album from Bananarama as a duo - with original members Sara Dallin and Keren Woodward continuing after the departure of Jacquie O'Sullivan in 1991 and the last to feature both Sara Dallin and Keren Woodward to play bass guitar on some tracks on the album. Please Yourself also reunites Bananarama with two-thirds of the Stock Aitken Waterman production team (Stock and Waterman). The concept of the album was first suggested by Pete Waterman as 'ABBA-Banana', a record that would feature pop songs in the style of ABBA, but updated for the 1990s. Please Yourself features songs in a Europop style.